having to book it in for service. But without doing these things, it can easily lead to long term damage, affect the longevity of a car and lead to extra avoidable cots later in time. 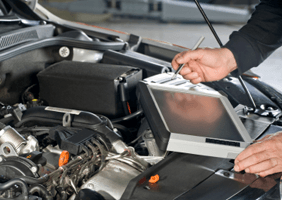 But when should we know when to service, especially if we are not the most frequent of drivers? 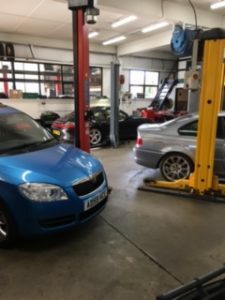 What is advised for people who use their car every day for work, is every 6 months as their cars do more mileage and therefore are more liable to pick up an issue. But for those who are not on the road often and rarely use their car, should this same rule apply? In my opinion i believe that is it still sensible to get your car serviced ones a year, and every 10,000 miles. As a year of rarely driving is not too long to leave it and will not affect the longevity and health of the car in the long term. 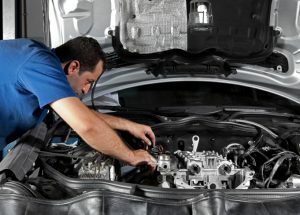 But if you leave it to every two years on more, then you are more liable to pick up a problem and if this goes undetected for too long this may seriously affect your cars long term health, furthermore you may need to pay for unneeded repairs that could have easily avoided and highlighted early on in just a regular service of your vehicle. A regular service of your car can allow the resale value to not plummet like it would if you were driving with an undetected problem, as there are so many reasons why it’s worth to get your car serviced, from safety hazards, to having a bad insurance record, to having bad emissions coming out your car, if your car hasn’t been serviced for a while even if you rarely drive, what is stopping you from getting it done now? It will be most definitely be worth it for the future.